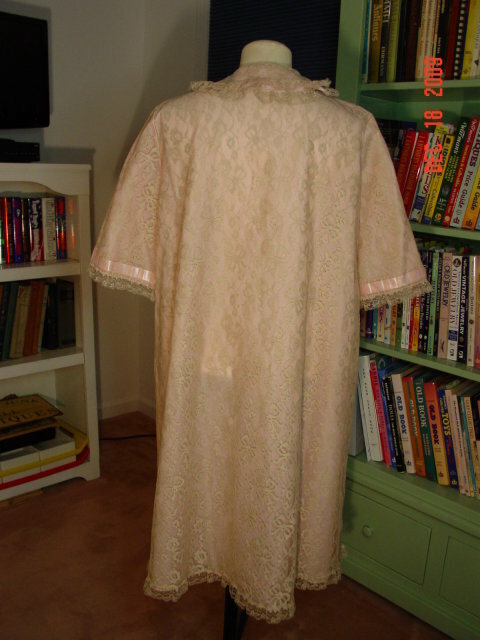 Elegant vintage peignoir robe made by Odette Barsa, who sold her high end clothing at I. Magnin in Los Angeles in the 1950's. 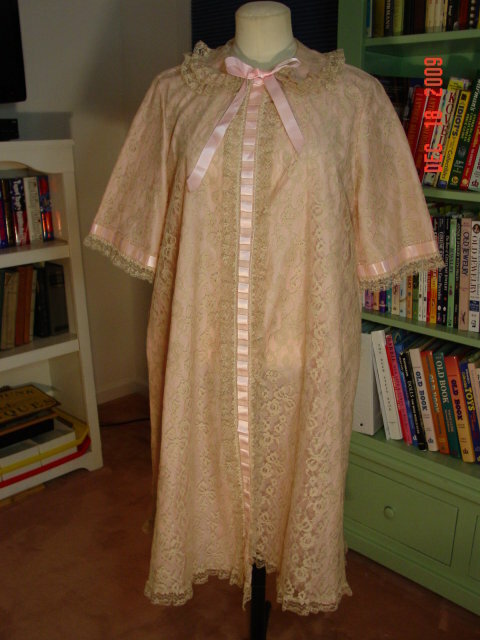 This robe has an underlayer of pink nylon covered with creamy lace. 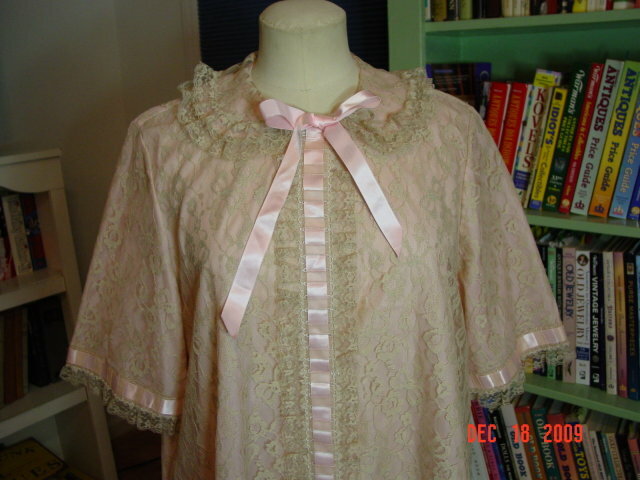 A pink ribbon is woven into a panel of lace down the front and around the sleeves, and it has a pink bow at the neck. Snaps hold it together from the inside, and a pocket is on the right in the seam. There is no size tag, but the measurements are: bust 49", shoulders 17", sleeves 14", and length 41". It is in excellent condition. 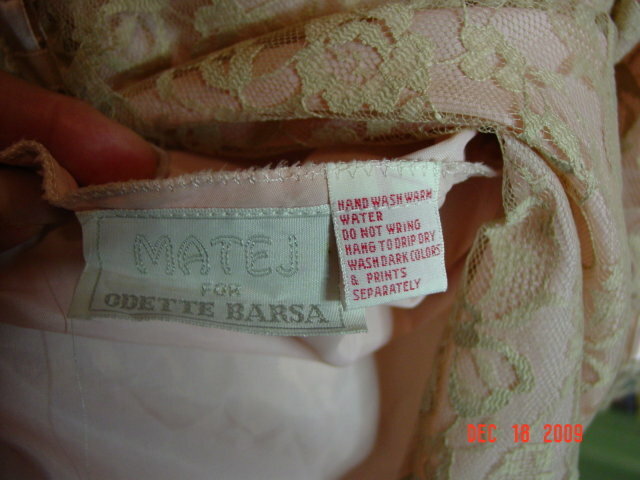 Items Similar To "Vintage Odette Barsa Lacy Pink Peignoir Robe"